Acid reflux is known as an uncomfortable condition that can lead to a burning sensation in the lower are of your chest. The reason causing this problem is when a valve named the lower esophageal sphincter is located at the stomach entrance do not contract or opens up, which, in turn, make the stomach acids move back up your food pipe. Our stomach is responsible for releasing certain acids for your food digestion. The inner layer of your stomach is protected with a special lining in order to keep the effect of acids away your stomach; however, our esophagus does not receive this protection. 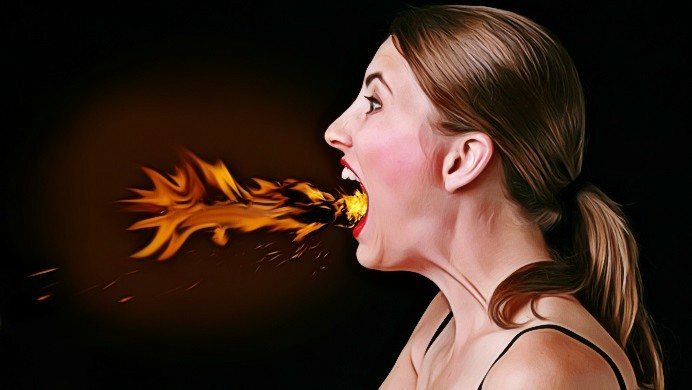 Therefore, during acid reflux, your throat will get a burning sensation. Some popular symptoms include heartburn or chest pain, gas a bitter taste, bloating, burping as well as difficulty in bending or lying. Aloe Vera For Acid Reflux – Why Is Aloe Vera Useful For Acid Reflux? People consider aloe Vera as a natural agent to relieve heartburn as well as prevent acid reflux. In fact, aloe Vera is comprised of the healing property, which is very beneficial in soothing your entire esophagus track as well as providing you with a relief from irritation. Many researchers prove that the gel of aloe Vera has polysaccharides and glycoproteins. Glycoproteins have the ability to impede inflammation and pain enhancing the treatment process while polysaccharides assist in digesting food properly, repairing cells of your skin, and stimulating the skin growth. In addition, aloe Vera can aid blood flowing through blood vessels and thus make digestive tract work properly as well as relieve several symptoms of acid reflux and heartburn. In this article, VKool.com will show you 8 natural ways on to use aloe Vera for acid reflux without any side effect. This writing listed the best effective remedies that use aloe Vera combined with other natural ingredients to cure acid reflux disease effectively from reliable sources. However, this is only for the informational purpose. You’d better not apply without the doctor’s instruction. Keep reading this writing to understand more! This is one of the simplest ways to use aloe Vera for acid reflux you have to know. You simply blend the aloe Vera gel (3 tablespoons) well with the juice of a lemon, 8 oz of coconut water, stevia, and some ice cubes. Drink this aloe Vera smoothie regularly to get a relief from acid reflux. You simply cut an aloe Vera and then use a tablespoon to get its gel. Then you add this aloe Vera gel and 2 drops of lemon oil in 1 glass of water. You stir them well and drink regularly. First of all, you peel the outer skin of 2 pears and then cut them into pieces. Now, you put the aloe Vera gel (2 tablespoons), brown sugar (2 tablespoons), yogurt (1 cup), ginger (1/2 teaspoon), and ice cube (a cup) in the blender. You blend them properly until they become a smoothie. Consume this aloe Vera smoothie on a regular basis to keep acid reflux at bay. In fact, apple cider vinegar is proven to have the ability to break down the fats, balance the pH level and aid better digestion while aloe Vera may soothe the GI tract and treat acid reflux effectively. Then you stir them well and consume this solution to feel better. Remember to combine with a straw to reduce the damage to your teeth. Aloe juice is found available in medicinal and food stores. You may use aloe juice for internal use as it is available in the aloe leaves; hence, it is safer for your digestive system. Do not forget to start to take it with a small dose in order to prevent diarrhea and stomach and then gradually increase your dose to 2 or 3 ounces. You’d better drink before having your meals for about 20 minutes to reduce acid reflux disease. You may also dilute it with a bit of water or other acidic-free fruit juices to make it have a better taste. When you suffer from acid reflux, let consume about two to three ounces of aloe Vera. Another of tips to use aloe Vera for acid reflux is to make a homemade aloe Vera cocktail. You can prepare a cup of aloe Vera cocktail by mixing the aloe Vera juice well with an acidic-free fruit juice. Or you can make a homemade aloe Vera guava cocktail by mixing the fresh guava juice (2 cups) with the juice made from ½ lemon and aloe Vera gel (2 teaspoons). You blend all these ingredients to make a smooth mixture. Another is to blend aloe Vera gel (2 tablespoons), cherry juice (1 glass) and the lemon juice extracted from a fresh lemon until you get a cherry Vera cocktail. You firstly combine ¼ cup of water with 1 teaspoon of aloe Vera powder or gel and drink. Remember to start using with a bit dosage. Keep storing the remaining powder or gel in the refrigerator. You may also add aloe Vera in the favorite fruit juices, smoothies, or milkshakes. The last tip on how to use aloe Vera for acid reflux is to combine it with lemon juice and pomegranate. Because pomegranate works as am astringent, aloe Vera can help you reduce inflammation via your GI tract as well as stimulate your digestion process effectively. In addition, lemon juice assists in stimulating your digestive secretions and reducing the acid reflux attacks. You just make a mixture by blending aloe Vera gel (1 tablespoon), pomegranate (1 cup), juice made from 1 lemon and raw sugar (2 teaspoons). Drink this regularly or whenever you need. Infants, lactating mothers, and women during pregnancy are recommended not to consume it. Avoid it if you suffer from thyroid, ulcerative colitis, Crohn’s disease, or hemorrhoids. If you are under medication, you have to get the consultation of a doctor before using aloe Vera. Avoid consuming aloe Vera for a long time because it might increase the risk of colorectal cancer. Have an intake of aloe Vera capsules with water for thrice times per day. But remember to consult the doctor first before taking capsules. Diarrhea is a popular symptom of ingesting aloe Vera, so remember to start with a little for checking. People suffering from diabetes should consume aloe Vera internally after having the doctor’s consultation. Aloe Vera may prevent your blood from clotting. Therefore, people who plan to undergo surgeries should not continue taking aloe 2 weeks before the surgery. People who take digoxin had better avoid consuming aloe Vera. Use the aloe Vera products which are purified and decolorized. Reduce or avoid certain food items such as caffeine, citrus fruits, tomatoes, alcohol, spicy, fried or fatty foods, fatty dairy goods, or carbonated beverages, etc. while adding aloe Vera in the diet. To get more information about various health conditions, go to visit our main Health page. After reading the writing of 8 useful ways on how to use aloe Vera for acid reflux, hope that you can learn more some simple and easy ways to use aloe Vera for treating acid reflux disease. All these remedies are natural, effective, and safe for treating acid reflux. But you do not forget to try these remedies only after you carry out a small test, check your reaction. If you have any question, please let them below, I will respond you as soon as possible. Also, if you know other ways on how to use aloe Vera for acid reflux disease, please share them with us.